Home PROFILES Gold Shares Triggered! June, 2018…Investors saw massive share price gains! Can you expect to see gains like this in your portfolio? Read on to learn more! Had you invested just $1,000 in each of these little-known gold stocks you would have realized a combined $1,230 profit literally overnight! Get in front of market moves like these and you could make a fortune! Overnight wealth! There’s one place in the market where you can consistently find stocks that post explosive gains like these. It’s in junior gold exploration companies! How does this happen? How can you find these companies in time to pocket profits like these? Read on to learn more! In this report you will not only receive insight into what propels gold shares to such meteoric gains…you will learn how to assess the potential for being in front of such gains with your own stock buys. And as a bonus…we’ll reveal the name of one company that you should be looking into right now! This little-known gold exploration company now sits on what could be one of the biggest new gold finds in North America that some geologists estimate to be as much as three million ounces of gold! Its stock now trades under 30¢/share despite its already substantial resource estimates. If you’re reading this report today and this stock is still trading below a dollar…we can only recommend that you act fast! Learn More About LADFF at your brokerage today! A huge opportunity still lingering at a fraction its potential…with millions of gold ounces that could soon be announced! If you can get excited about getting in early on prospects like these, then we strongly recommend that you consider New Carolin Gold (TSX-V LAD; OTC:LADFF) without delay! We believe that this one company sits on a hair-trigger for explosive gains. It could readily repeat the gains sighted in the examples above…all it needs in just one key announcement. The company we are reporting to you today is New Carolin Gold (TSX-V:LAD; OTC: LADFF). As you are about to learn, despite being virtually unknown to the outside, New Carolin now holds a 100% ownership position on 150 square kilometers on one of the biggest historical gold deposits in North America. 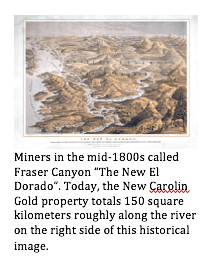 New Carolin’s gold prospect holds so much potential that a 1990 government report from the British Columbia Geological Survey rated the New Carolin locale as geologically equivalent to the Mother Lode in California! Fortunes were made on that massive California discovery and as evidenced by New Carolin’s most recently announced drill results, their numbers are moving in a direction that could prove up millions of new ounces of gold. Just days ago, New Carolin announced drill results that point to what geologists are seeking to prove as a massive, under-explored gold mineralization zone. Miners have suspected this for decades, siting historical drill results that point to an unexplored mother lode that fed into the fourth biggest gold rush in North American history! Here are the historical drill results that point to the “lode” New Carlin is exploring toady! Unbelievable! Despite the huge potential these historical results suggest, the numbers could never be released to the public in any official way! Without those cores, nothing could be done, then nor now. But that appears to be changing very quickly on the work that New Carolin is undertaking today. New Carolin is aggressively pursuing an exploratory drill program on the original mine site that can validate the historical data, make that official, and as it turns out, make new discoveries that that could rise to become one of the greatest new gold discoveries in North America. Word is already being leaked! Just a few days ago, New Carolin officials released the first of what should be a series of updated reports that not only confirm much of the historic findings, but suggest that the prior results were a fraction of what may ultimately be discovered. 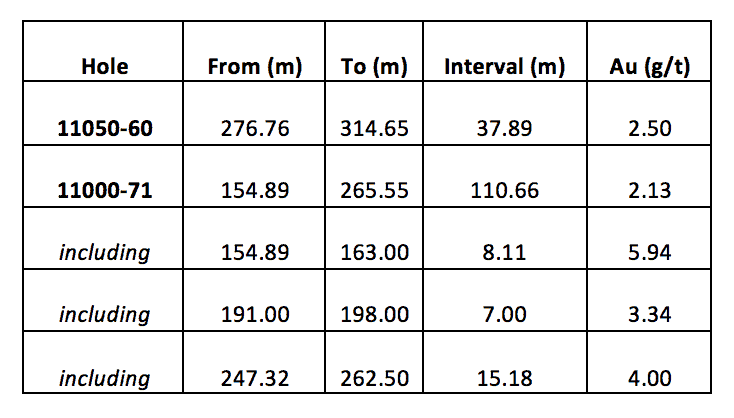 This new release reports that of 13 new diamond drill holes seven returned intercepts in excess of 1.15 g/t and three of those tested in excess of 2.0 g/t! The release also reported a new 93 meter hole drilled between the two historic holes where previous miners lost the core samples. This new hole averaged 1.39 g/t overall, which included a gold dense intercept grading a 5.75 g/t over seven meters! These results and the computer modeling that followed suggest that a massive mineralization zone exists between and on either side of the historic holes, the extent of this mineralization should be born out in the company’s near-term diamond drilling program. The takeaway is compelling: Not only does it appear that New Carolin Gold is successfully validating the historical data, it’s documenting new gold mineralization zones that could substantially increase future resource calculations. At some point all this data will catch the attention of gold investors actively seeking opportunities of this caliber. When that happens this stock could go flying out of its current trading range. Does this mean you should get in now? We think it deserves serious consideration. Like the examples given at the top of this report, these are the kind of situations that lead to massive gains for investors who establish ground floor positions. Consider the case of the junior exploration company, Contact Gold. Its stock took off in just one day on results that were a mere fraction of what New Carolin is working to restore. Those four holes triggered a stampede of same-day buying. Contact Gold soared 46% the day these figures were released, but the difference between Contact’s data and New Carolin’s data is breathtaking. from 2.13 g/t to an astonishing 5.94 g/t! New Carolin’s assays are two- to five-times greater, which raises the questions…why is New Carolin still trading in the 30¢ range? Contact Gold was trading at 27¢ when its numbers were announced…and it quickly shot to 40¢ that day! Based on that case and many more like it, shouldn’t New Carolin be trading over a dollar on its numbers alone? Perhaps it could. 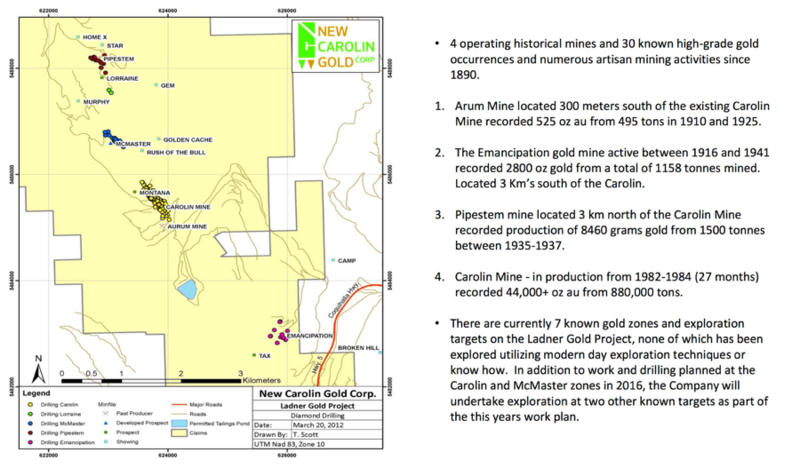 New Carolin is moving fast to get the full potential of this mine properly announced and “on the record”. This September 4 release was their first big move; you can expect more news releases to follow, any one of which could trigger a stampede on shares that returns massive gains, perhaps even in the same day! You can begin with this detailed September 4 announcement available now on the company website. In addition to the new release, you’ll find that the company website is rich in detail rarely seen in a junior exploration company. It’s a great springboard to begin your due diligence. If you believe in gold and its prospect for creating new-found wealth, then we strongly recommend that you follow up on this immediately! This is an entry-level opportunity unlike any we’ve seen in years. You do not want to be on the sidelines should it break out like the others mentioned above! How the previous mine owners completely blew it and failed to prove up what could be one of the biggest new gold discoveries in North America! In the early 80s the Carolin mine site produced 44,000 ounces of gold…and the operators of the day just scratched the surface. They also failed miserably as gold miners, leaving about 40,000 ounces of gold unrecovered in their mine tailings! Their backers pulled out and the mine was mothballed. After three decades of inactivity, New Carolin Gold picked up the mine records, renewed exploration activity, and has brought to life what could be one of the biggest North American gold finds in decades. 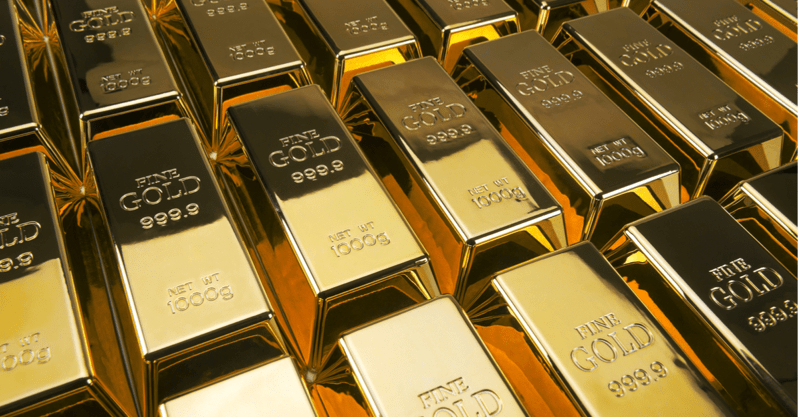 To start, the previous owners left 40,000 ounces of gold just sitting on the surface! We think this is a stunning discovery and if you stop what you are doing right now and get started on some basic research…you may quickly agree. In 1857 gold was discovered on the Thompson River in British Columbia. News of its size and easy pickings spread quickly. Tens of thousands of gold seekers flooded the region stripping it of the surface and near-surface gold. By 1927 the rush died out. But much more gold remained underground, the geological formations that were the source of the early discoveries. They built roads and mine structures, brought in milling equipment, dug in hundreds of feet in below grade tunnels, and catalogued exceptional findings from over 600 diamond drill holes. Mining activity began almost immediately. They quickly brought to surface the first of the ore that might have supported a massive mining operation. But despite the promise of millions of tons more of gold-bearing ore, the miners did such a poor job with what they dug up that they separated barely more than half the gold from the ore. It’s estimated that 40,000 ounces remains unrecovered on surface in the tailings pond! Investors had enough. The mine was mothballed. Disputes erupted over what could be done about it. In time, New Carolin Gold found its way in and laid claim to it all. It was a huge win for New Carolin and its shareholders. Despite the past failures of the previous miners, their failed miners did an outstanding job with exploration (despite losing the core samples!). Their results pointed to a massive untapped gold bearing formation and in acquiring it, New Carolin Gold was confident they had landed a “gold mine” that could one day be worth billions! A 1990 report from the Canadian Ministry of Energy, Mines and Petroleum Resources bears that out. 1473 kilograms of gold assays at 1.841 grams/ton in production. 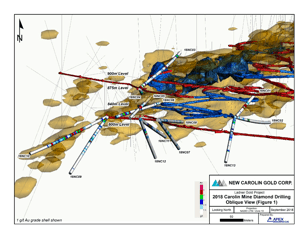 New Carolin’s early findings are already averaging 1.39 g/t with zones as high as 5.75 g/t! Given further data and computer modeling…the average grades from the target formations could quickly soar by two- to three-times current data. What’s more, unlike its predecessors that were only able to recover 53% of gold from the ore, New Carolin reports that using its present technology and expertise, the company projects upwards to a 97% recovery rate! With gold prices at five-times 1980’s prices and nearly double the recovery rate, New Carolin’s outlook for monetizing this prospect is simply extraordinary. And the scale of it is enormous as well. 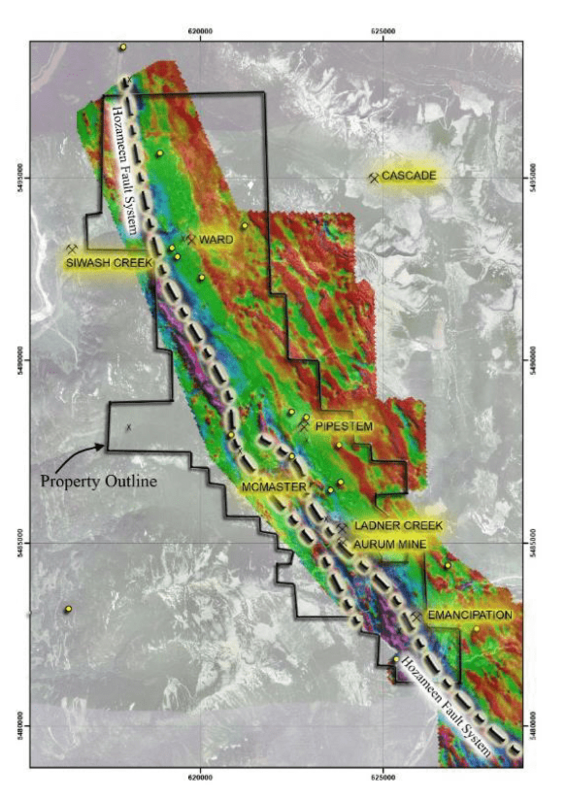 New Carolin Gold holds a 27.5 kilometer stretch of property totaling 150 square kilometers. It’s a massive prospect that could be producing gold for decades to come. Does this mean New Carolin Gold is in for the long run? Not likely. A gold prospect of this scale is too ripe a target for a major producer to swoop in and acquire. …as much as 3,000,000 ounces of recoverable gold! At today’s gold prices, the gold in this property could soon fly past $3.6 billion and it’s entirely owned by New Carolin Gold shareholders. As historical records are validated the unrealized value in New Carolin Gold shares could make today’s 30¢ trading range a distant memory. *In round figures, this is the current inferred resource based on early exploration results that are fully complaint with NI 43-101 reporting requirements and include the resources calculated present already above ground in the tailings ponds. ** The company reports that approximately two million ounces was the previously calculated inferred resource based upon the historical data that included the lost core samples. New Carolin Gold is moving aggressively to restore the historical data and comply with current resource calculation protocols. Here’s the advantage you have now, and it won’t last forever! Firstly, please note that the above referenced 726,000 ounce resource is already inferred on a mere fraction of total 150 square kilometer gold-bearing region. We believe it is perfectly reasonable to conclude as more data are released, the enormity of this gold-bearing region will likely add greater numbers to the resource calculations, perhaps quickly leading to multi-million-ounce reports. New Carlin Gold is thinly traded, essentially unknown to the market. As we demonstrated at the top of this report, that could change overnight. You do not want to be on the sidelines should that happen! We strongly recommend that you look into New Carolin Gold without delay. You do the math…this could be a massive win for anyone getting in now. Please note: we are not recommending that you immediately rush out and load up on LADFF shares nor are we suggesting that you consider the above share valuations as projections on our part. We’re simply attempting to put some numbers in perspective that demonstrate the enormity of this opportunity. Instead, we are telling you here and now; New Carolin Gold could be a massive winner for those who act promptly. New Carolin Gold deserves immediate and serious consideration for a real-world shot at the enormous profit that can be pocketed with a successful junior exploration company. New Carolin Gold holds 100% ownership of the 150 square kilometers of historically prolific gold-producing ground. 686,000 ounces of gold are already inferred, NI 43-101 compliant, along with 40,000 more ounces estimated to lie above ground in tailings ponds. The company is in possession of historical data from more than 600 diamond drill holes that identify grade as high as 5.94 grams/ton. Remarkably, current data is being gathered that show gold intercepts grading as high as 57.2 grams per ton! All of this is available to review on the company website. The company’s current exploration results seek to validate the historical records and meet stringent current NI 43-101 reporting requirements. Estimates are that once the mother lode is full mapped the gold bearing zones could hold as much as 3 million ounces of gold. The location has been evaluated by Canadian Ministry of Energy, Mines and Petroleum Resources and compared geologically similar to the prolific California Mother Lode discovery. Though gold is already known to be present, New Carolin Gold remains largely undiscovered. With shares thinly trading in the 30¢ range, the profit potential for today’s shareholders could be enormous. We strongly advise that you look into and consider New Carolin Gold without delay. Its stock could literally take off overnight on a single piece of news. Shares you buy now at 30¢ could soar to triple-digit gains in a matter of days, even hours! New Carolin Gold holds potential to deliver massive gains virtually overnight! An exaggeration perhaps, but we need to emphasize this point. We urge you to take immediate steps to determine if New Carolin Gold is an appropriate addition to your growth portfolio. Timing can be so critical now. Even a few days’ delay could leave huge profits behind you. As illustrated at the top of this report, massive gains can occur in successful junior exploration companies and New Carolin Gold comes with more front-loaded good news than anything we’ve seen in years! Your first step to take advantage of this: Get in position to receive company news releases as early as possible. You can do that by jumping in as a shareholder, after all, a thousand shares can be bought today at around $300. We say this with the customary caution however; junior exploration companies like New Carolin Gold are high-risk investments! Only put in in what you feel comfortable exposing to substantial loss! If you prefer to play things more conservatively, then at a minimum, contact your broker and put New Carolin Gold on your stock watch list. This can ensure that up-to-the-minute news from the company is sent immediately to your email account. Above all, take a moment right now to go straight to the company’s website and dig into the details. What we’ve presented in this report are highlights and expert interpretation of highly detailed reports. The New Carolin Gold website is rich in such detail and if you can sort through it, you’ll likely draw the same conclusion as we. New Carolin Gold could be a massive winner that return enormous gains to shareholders who stake a position today, while share prices are so low. The New Carolin Gold property comprises 150 contiguous square kilometers of ground overlying the known prolific Coquihalla Gold Belt. New Carolin holds 100% ownership of the property and is currently focusing on the Carolin mine site, one of many that are known to exist within company boundaries. Among many of the geologically significant formations on location is the Hozameen Fault Line believed to be the “mother lode” source for all the gold that is present through the region. This mine site mapping and comments are just one of many illustrations, 3D mapping and exploration data that can be found on the company website. New Carolin Gold has, without question, produced one of the most thoroughly detailed websites we’ve ever seen from a junior gold exploration company. There’s a lot to be learned on the site and we recommend you go through it completely as an essential component of your due diligence research. Next articleIs Gold Headed For A Rebound?